If you’re a Mum what’s your dream home? Some Mum’s dream of having a large family house with all en-suites, large gardens for the children to play in, a home close to excellent schools and for some it’s all about location, location, location. Here are a few properties we hope Mum’s will really enjoy. 5 bedroom Semi Detached House for sale, Carshalton, Surrey, SM5. Offers in Excess Of £825,000. 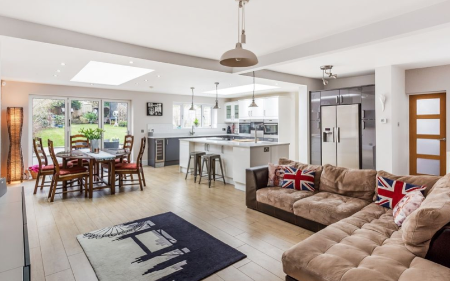 This stunning five bedroom property has the most amazing open plan kitchen, a perfect space for cooking up diner whilst keeping half an eye on the kids. It’s also close to both primary and secondary schools and within walking distance of Carshalton Beeches station with direct links to the City, and to the local shops, restaurants and amenities. The property has been thoughtfully extended and extensively refurbished to provide bright, comfortable family accommodation over three floors. On the ground floor the high quality, fully integrated kitchen is open to the dining and family area with bi-folding doors opening onto the garden and under floor heating throughout. In addition there is a spacious sitting room with period details and a wood burner effect gas fire, a study with window overlooking the garden, downstairs cloakroom and a utility area. On the second floor there are four good sized bedrooms, one of which has fitted wardrobes together with a fully tiled en-suite shower room. There is also a fully tiled family bathroom with bath, separate shower cubicle and under floor heating. The master suite occupies the second floor and consists of a spacious bedroom with shuttered windows and built in black out blinds, a walk-in wardrobe and a fantastic en-suite bathroom with an individually designed stained glass window, large shower cubicle, free-standing bath and mood lighting. 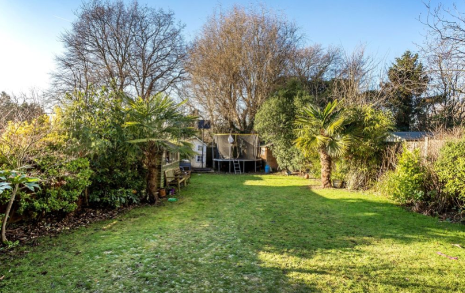 Outside the rear garden extends to over 100 feet with a raised lawn, flower and shrub borders, children's play area and a paved patio which stretches the width of the property; and to the front there is a garage and ample off street parking. This fantastic five/six bedroom detached home is set in a prime location. Being within walking distance to Ewell Village and Epsom, Mum’s would well served for access into London via Ewell East station and West Ewell station. They would also have the added benefit of being close to highly regarded schools, shops, restaurants and many other facilities that Ewell and Epsom have to offer. To the front of the property there is off street parking for multiple cars and electric gates for your privacy. Internally the property offers a modern kitchen/breakfast room, four reception rooms, five/six bedrooms (two of which have en-suites), a spacious conservatory and a secluded rear garden. This rarely available property could be the dream family home as it is situated in Sutton Garden Suburb's conservation area. 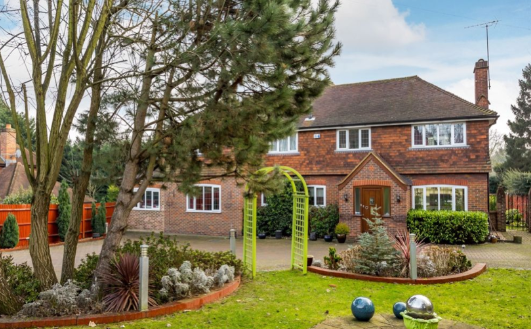 This large and extended five/six bedroom family home is offered to the market with no forward chain. The property features off street parking for three cars, double glazing, gas central heating; a large modern equipped kitchen/breakfast room with space for a dining suite, conservatory/family room, a study/bedroom and downstairs W.C. plus double garage (currently used as a bedroom), a utility room, master bedroom with en-suite plus private rear garden. Located close to the regeneration of North Sutton with excellent local transport, schools and shopping facilities, this property offers an excellent purchase. Book early to avoid disappointment! EPC Rating: D.
If you would like us to help you find your dream home why not pop into one of your local branches of Goodfellows or call our team on: 020 8102 0554.